See this page and find out how to translate plugin and its toolbar. 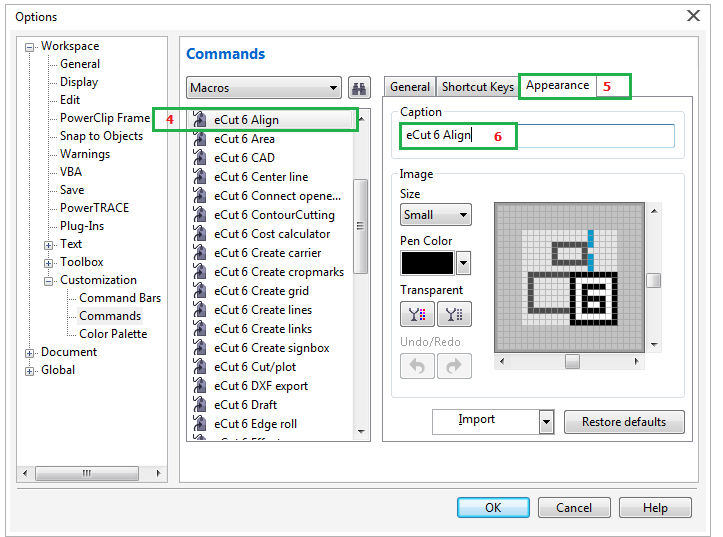 eCut is very easy-to-translate plugin. All its captions are located in one language file. Before start translating eCut, you have to install eCut with RUSSIAN language. Then, using simple notepad, open Language.ini file. All you need is translate English words and replace Russian words (after "=") with your translation. Bad shapes or parameters! Can not process.=Плохие объекты или параметры! Не могу продолжить. Bad shapes or parameters! Can not process.=Forme sbagliate o parametri! Impossibile elaborare. After translation file Language.ini, you can send it to developer to add it to installer. And in future updates your language will be available in list of supported languages. Toolbar translation is much easier then plugin translation. Because you have to translate only function names. First of all, you have to install eCut and its toolbar. How to do it - see in help section. After adding toolbar, you can start translate it. 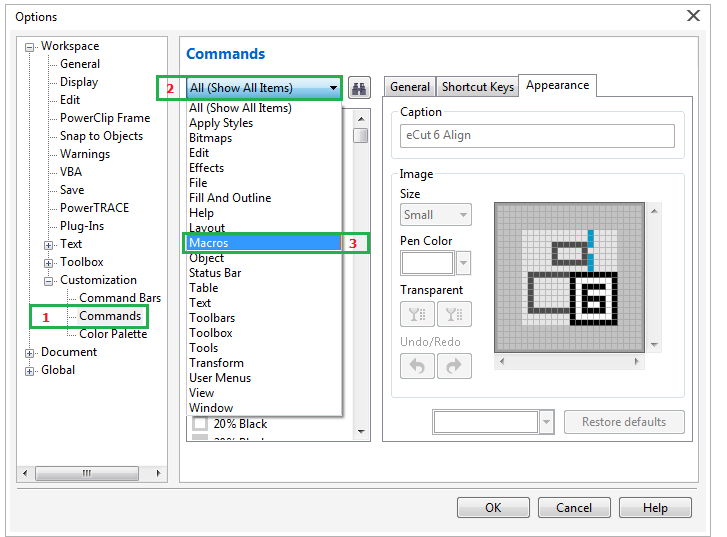 First - start CorelDRAW and press Tools/Customization. 3. Select Macros from list. 6. And change its caption. That is all. After you'll translate all captions, eCut toolbar will looks like you want. And if you want to see it in eCut installer - send it to developer and many people will thank you.